Watch episode to help kids learn colors online for free! Cars and trucks of different colors emerge in this 3D car cartoon. 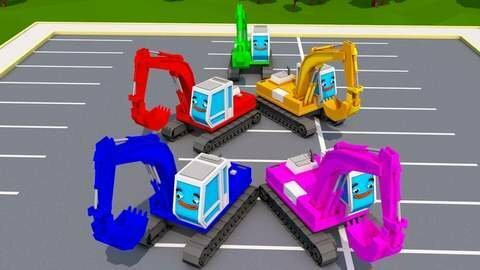 Watch as a red truck, green tow truck, blue excavator, yellow racing car, and white dump truck drive out from colored doors! Learn their colors! This episode and more are free to view at SeeZisKids.com!